Is Skype Really Better With Facebook than Google? Posted on 06 May 2011. As two of the biggest networks battle to gain collaboration with Skype, Facebook is more aggressive than Google. Analysts, however, say that the world’s biggest social network may actually be a better fit. On Wednesday, Reuters reported that both Google and Facebook are trying to win partnership with Skype separately. Skype is currently the leading web video telephone services used by millions all over the world for cheap online communication. Two undisclosed sources told Reuters that discussions about partnership are still in the preliminary phase however any deal that will stem out from this assures a joint venture partnership. One of the sources said that any partnership with Skype right now is valued at $3 to $4 billion. Technology analysts and enthusiasts are rooting on Facebook, saying that the well-loved networking site that will complement Skype by giving it great features it currently lack. Rory Maher, an analyst from Hudson Square Research, said that there is no doubt that Google will benefit from this partnership, but it is a bit sketchy compared to Facebook. He added that Google already has video and chat capabilities that Skype offers. Moreover, Maher said that communication is very vital to Facebook and what its users do. 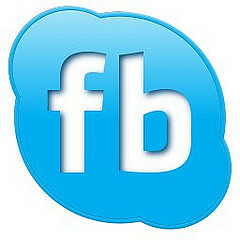 It would be very interesting if Skype features will be enjoyed by Facebook users. Skype was founded on 2003 and just last year, they boast a 124 million clientele. However, only 8.1 million of their total customers pay for their services to make traditional phone calls. Jim OBrien - who has written 72 posts on Your Daily News Fix.